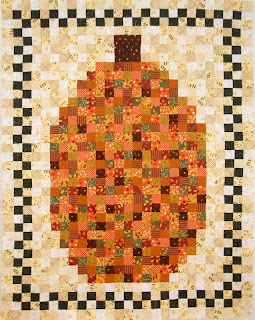 After much sewing of all those little pieces-972 to be exact- the pumpkin is done. Still looks a little elongated, but I like the way it turned out. 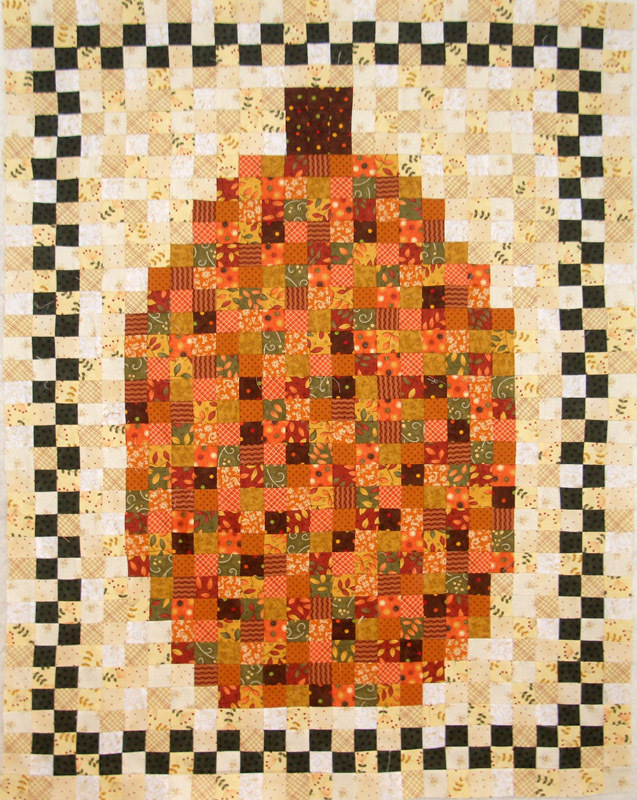 It is on the Longarm as I speak, and will be quilted with a pumpkin/leaf pattern. I am now caught up on the UFO Challenge as this one was from January! Looking forward to seeing what number is pulled for March. Next up: finish Roll Roll Cotton Boll.